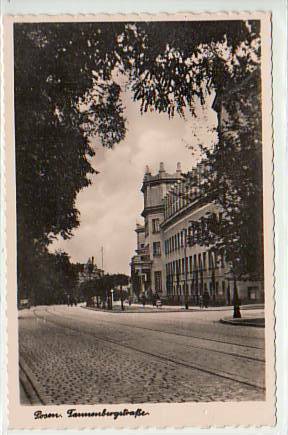 Oberst Botho Hermann Ludwig von La Chevallerie was born on the 1st of August 1898 in Hannover. 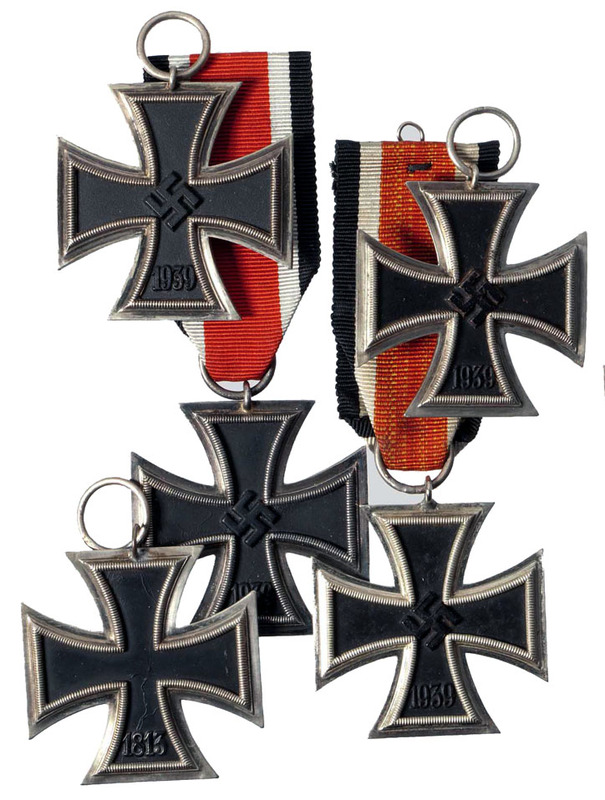 During World War 1 he fought with Ulanen-Regiment 20, earning the Iron Cross First and Second Class. Not much else is known about his military career in the Great War. On the 6th of September 1918 he was taken prisoner by the british. He was released on the 1st of November 1919 and was discharged about three weeks later. He lived a civilian life up to October 1934 when he rejoined the army, taking over a company of Infanterie-Regiment 22 (1. 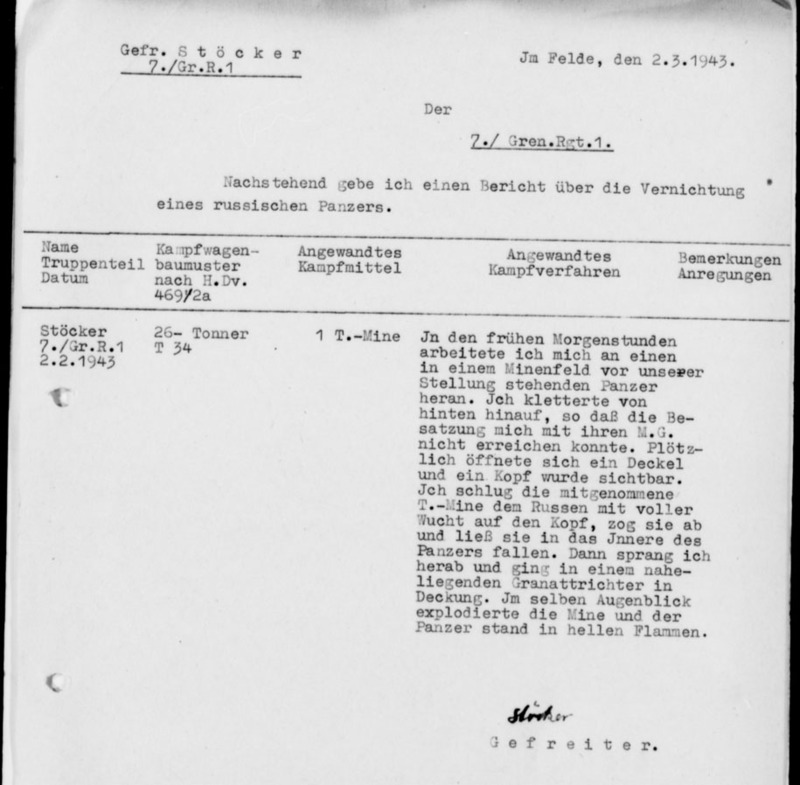 Infanterie-Division) of the Gumbinnen Garrison. On the 1st of January 1939 he was commanding the 11th company of the regiment. 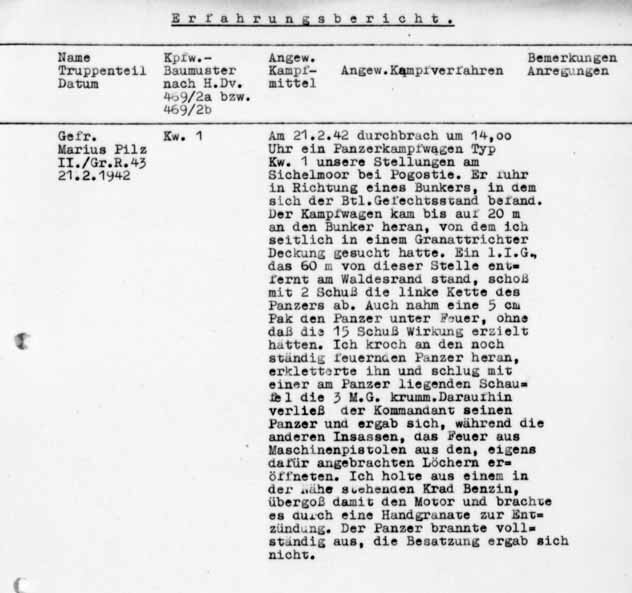 During the Polish Campaign, on the 9th of September 1939, he was badly wounded (shot into the neck with the round entering the lungs) and was transported to Ortelsburg/Germany for medical treatment. De la Chevallerie took part in the Campaign in the West (commanding 3rd battalion, Infanterie-Regiment 43, 1. 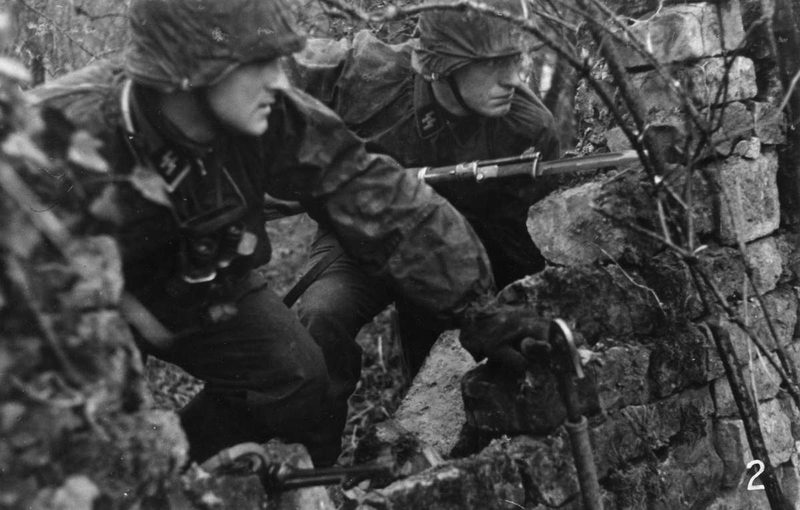 Infanterie-Division). When the battalion was transferred to 121. 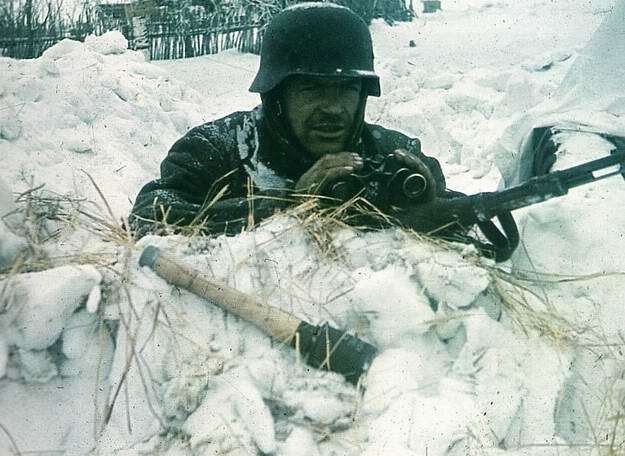 Infanterie-Division and redesignated III./Infanterie-Regiment 408he stayed in command and participated in the campaign against Russia. 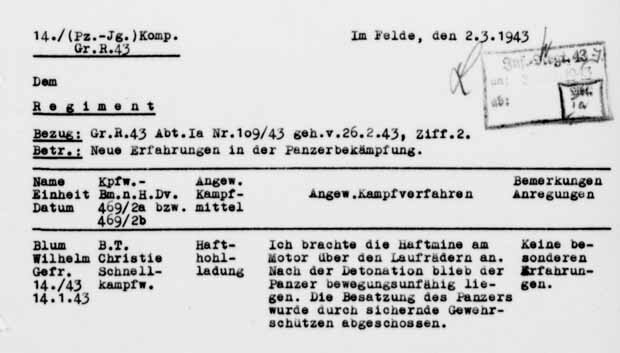 On the 28th of June he was wounded again (one shot to the head, two into the arm), near Kowno. Only a day before he had earned himself the Knights Cross, when his battalion attacked russian positions in the forests near Rukla. The enemy there was strong, so originally the attack was supposed to be carried out by the whole division. 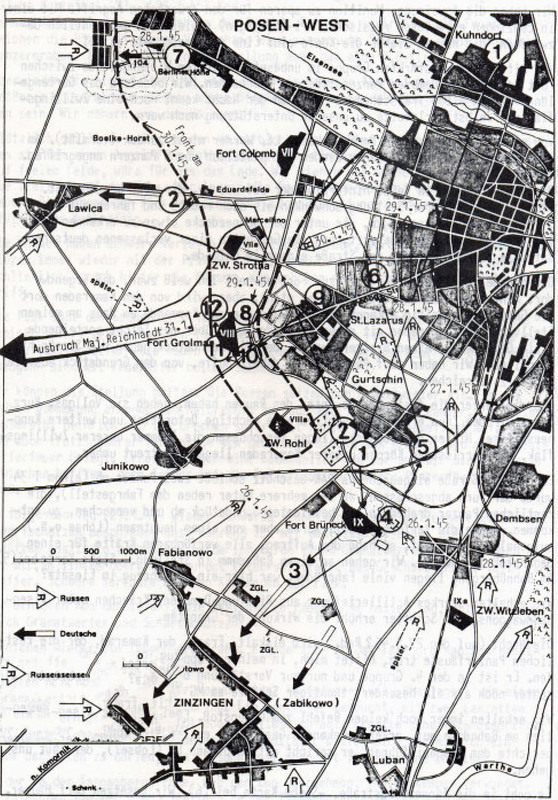 Having been cut of from artillery support and all other units, de la Chevallerie attacked with a single battalion instead. By the end of the day, III. 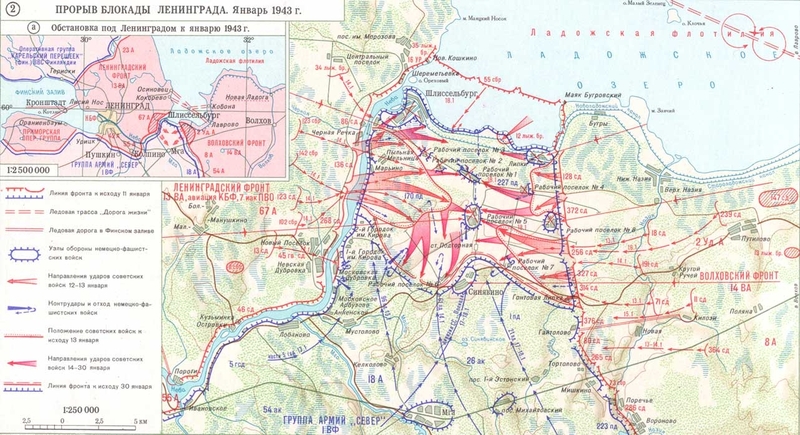 battalion had taken the soviet positions. 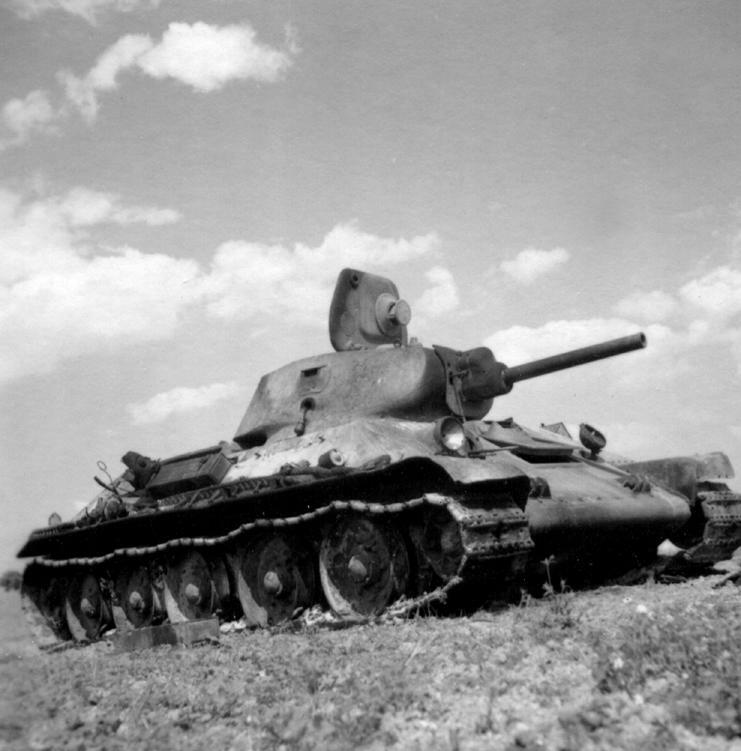 Huge amounts of supplies, arms and ammunition were captured. 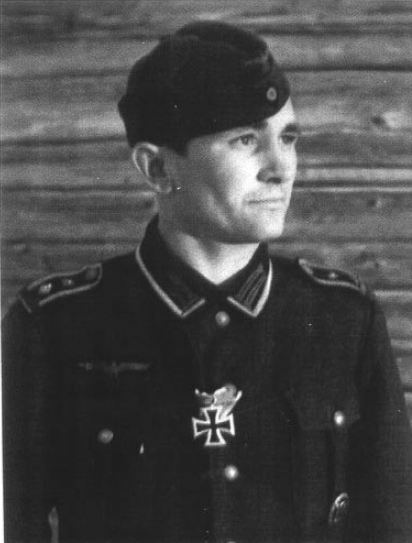 He was awarded the Knights Cross on the 23. of July 1941. After recovering from his wounds he took command of Infanterie-Ersatz-Bataillon 22 (regimental reserves) in Gumbinnen. In November 1943 (now a Major) we find him commanding Grenadier-Regiment 585 (320. 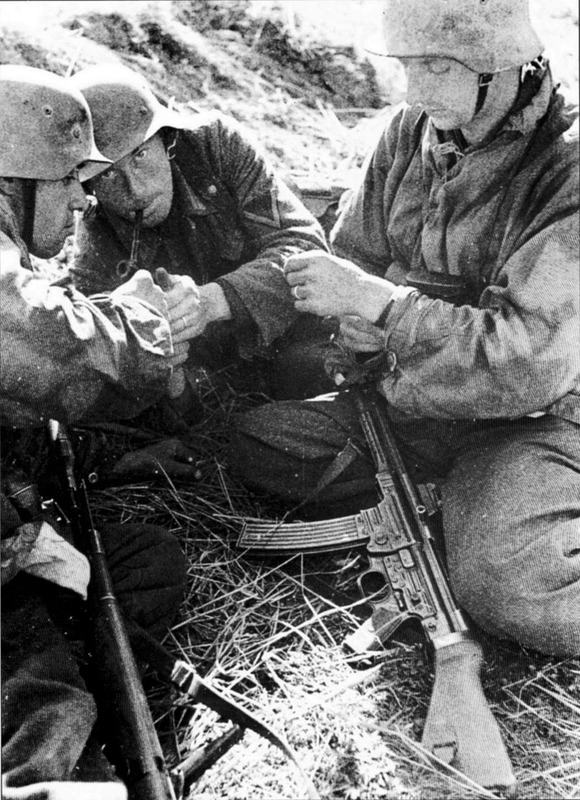 Infanterie-Division) on the Eastern Front. 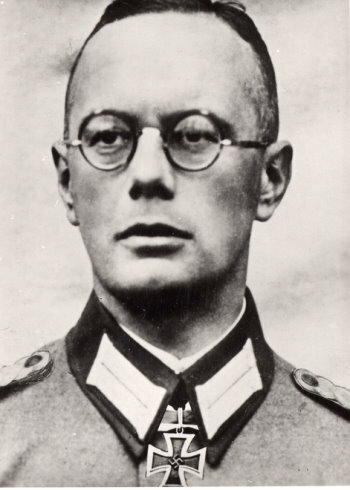 Being wounded again on the 14th of November 1943, he succumbed to his wounds on the following day. He was promoted to the rank of Oberst posthumously. 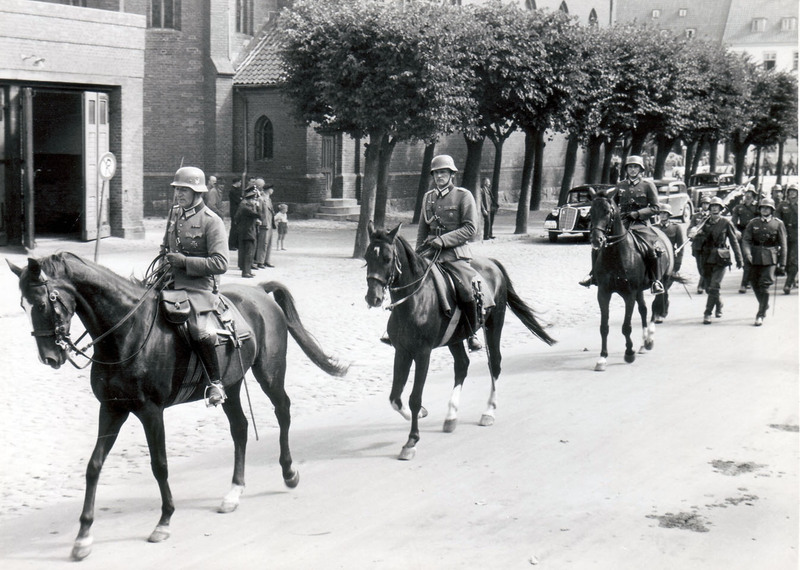 Officers of III./Infanterie-Regiment 22 in horseback, Gumbinnen, 1938. 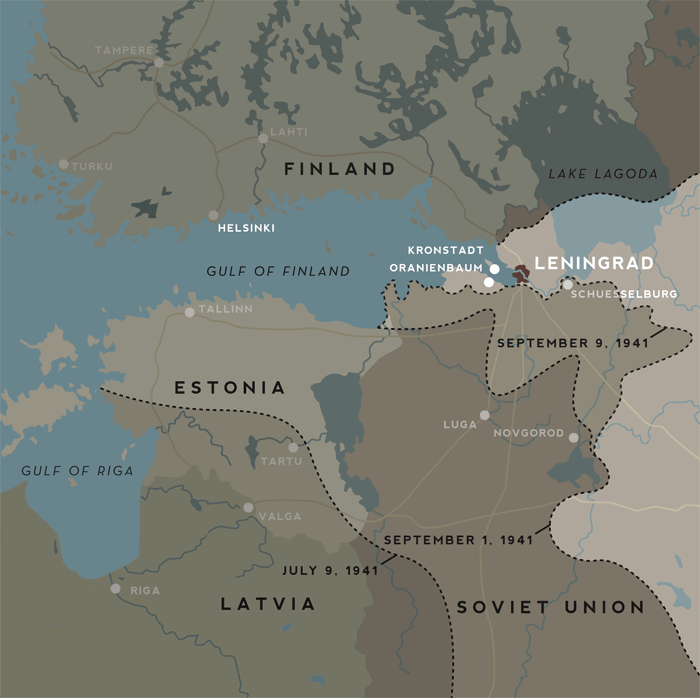 “On the 21st of August we left the garrison, prepared as if going to war. I was lucky that only 20 of my men were reservists. Most of my NCOs were active soldiers and most of my reservists had served their two years in my company. 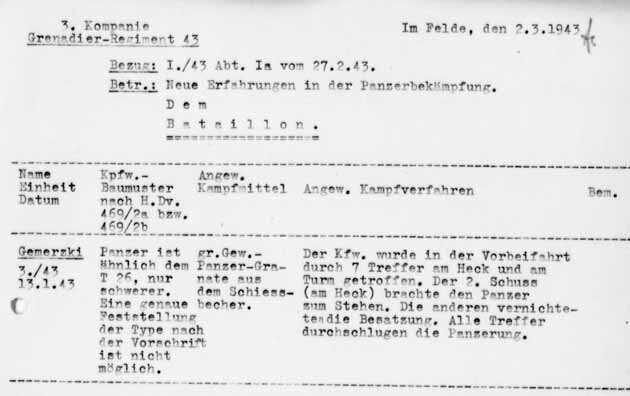 As squadleaders I had Leutnant Neumann, Oberfähnrich Koch (who had just left war academy) and my good, reliable Feldwebel Kudszus, who had just managed to rejoin the company before it marched out. He had been acting as drill sergeant in the reserve batallion and had spent the day before running around like a child waiting for christmas. It was all very strange. 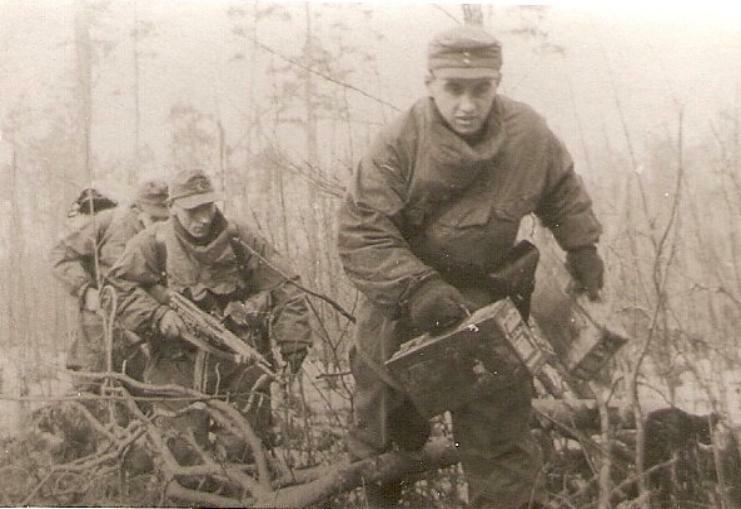 We all had been issued live ammunition and handgrenades, but we still had our paybooks (Soldbücher) stored in a big box and everyone carried a red helmet band for “Autumn excercises”. 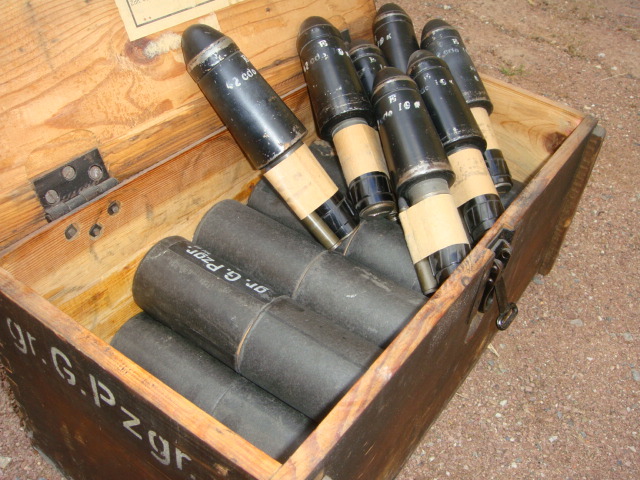 Blanks had been left in storage, to be send to the “excercise grounds” if needed! When we had reached the train station we deployed air defences (as if on maneuver), and loaded us and our equipment onto the trains. After we had finished, peace broke out again. Civilians, women and children flooded the platforms and everything looked just like a normal day as we had experienced it lots of times before. 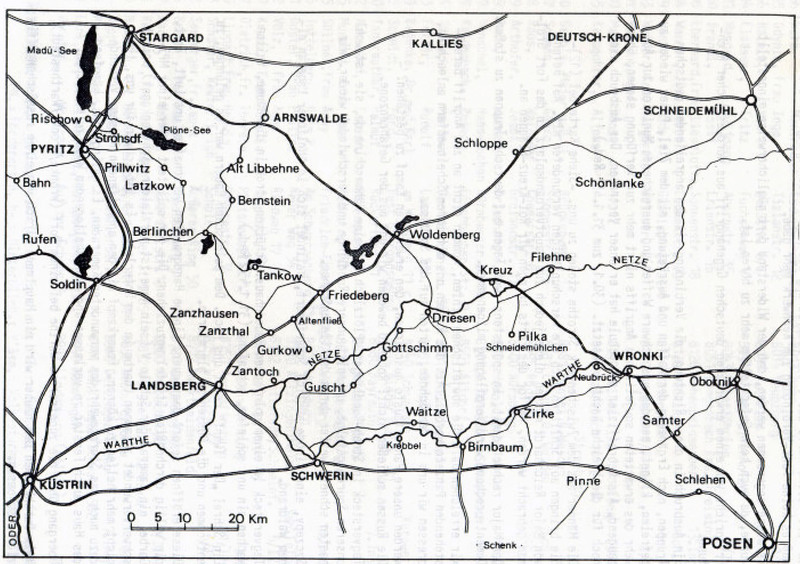 Seven hours later we disembarked at Ortenburg and marched off into the direction of Willenberg. We had our first experiences with bad roads on campaign when our carriages, loaded with every wargear imaginable got stuck in knee deep sand. The wagons weighed up to five tons and with their low profile and rubber tires it was no wonder that only two horses had problems with them. After we had marched for about 30 kilometers we set up camp inside a forsest close to a small lake. Tents were camouflaged and soon afterwards everyone was asleep. On the next day we were supposed to march into the regimental assembly areas to begin our excercises. Instead we recieved the information that these had been cancelled. That was good news and we spent the time swimming in the lake, cleaning weapons and caring for the horses. The company had eight vehicles. 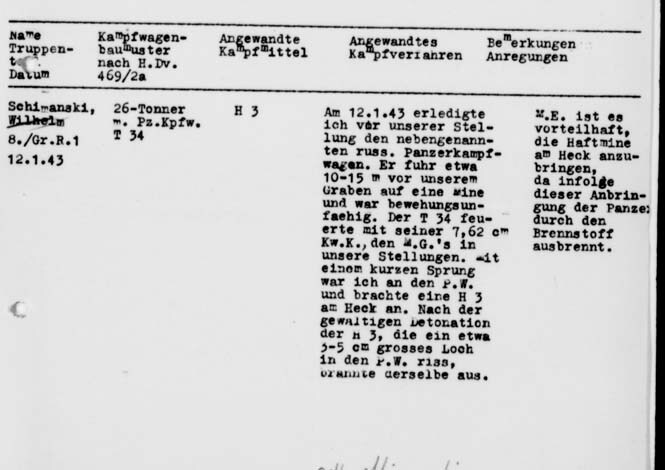 Three for arms and ammunition, three for luggage and other supplies, one kitchen wagon and one for air defence, mounting two MG34 machineguns. Three of them were drawn by requisitioned horses which were not bad, but a little bit on the weak side and being driven by naive reservists, whose only knowledge about horses consisted of sitting on the wagon, wildly shaking the reins and shouting “Hooah”. We spent three days in our bivouac, using the time to train the horses and give driving lessons to the men. We excercised swimming, made endurance runs through the forest. The lads of the machine gun company had used the money of their “Manure-Fond” (selling of horse manure to farmers) to buy a radioset and every day the batallion assembled around it. From this we heard that we were stationed in a state of readiness, two kilometers away from the border! The truth was that we were about 10 Kilometers away from it, lazy and in our underpants. 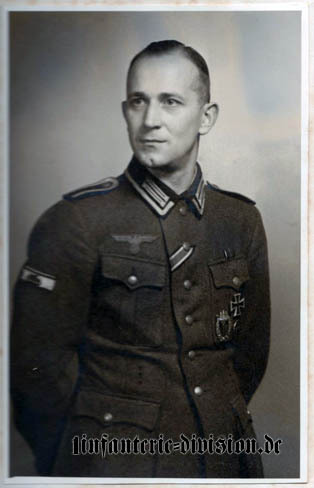 On the last day we heard that Scheidies (Batallion commander) was transfered to divisional staff. You have to know Scheidies to understand how hard this was for him. It would have been easier if this had happened before we marched out, but now, when everyone was eagerly expecting action the whole thing was unbearable. The only “good” thing about this buisnenss that I was to take command of the batallion, so at least the men didn’t have to cope with an outsider. The following night we continued our march. 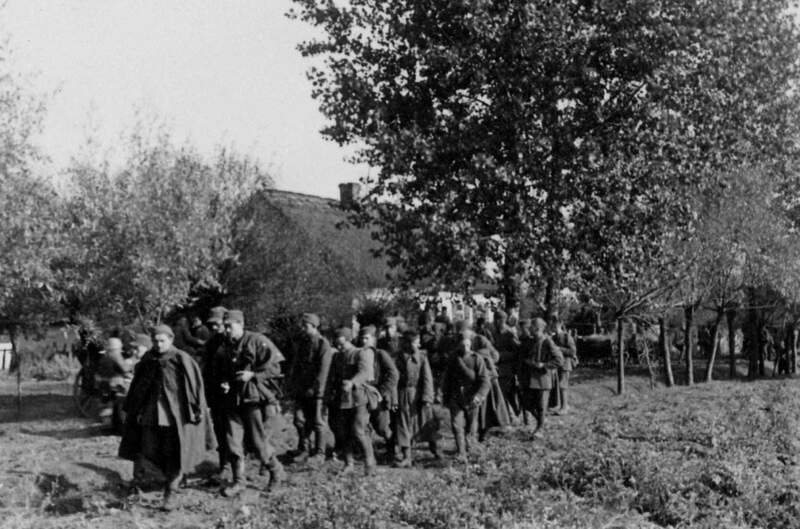 Near Kannwiesen we again set up camp when I was called to the regiment. 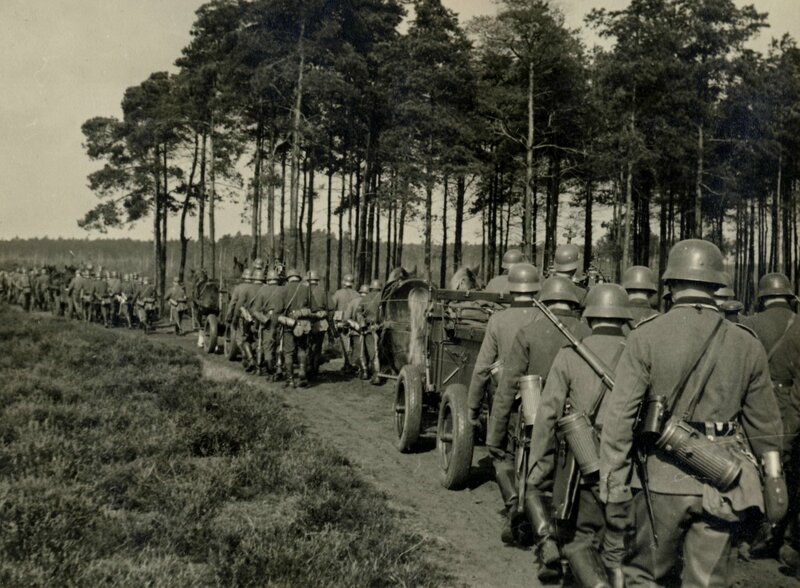 There I recieved orders to take the batallion to a forest about about two kilometers from the polish border. The border there was lined by the river Orschütz, 5-6 meters wide and about 2 meters deep. There were no bridges, only a couple of fords (where the water had a depth of about half a meter). 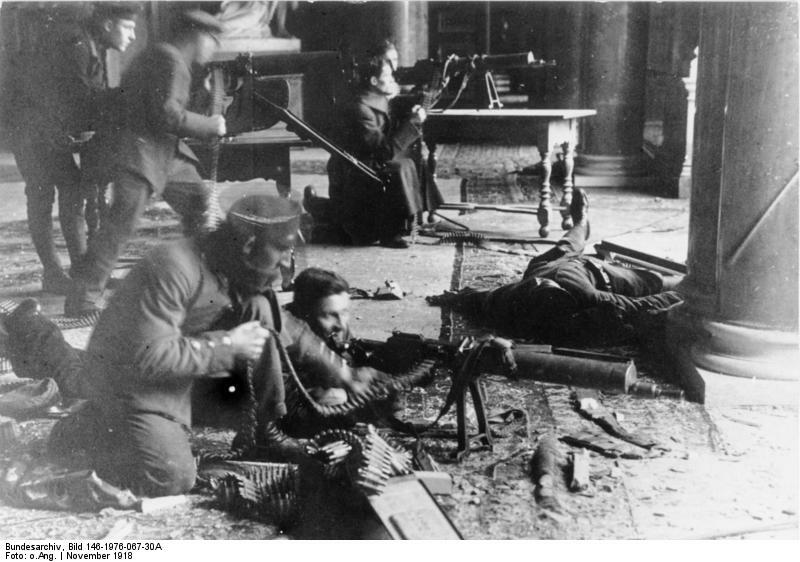 I returned to the battalion, the men equipped themselves with live ammunition and moved out to the target area. I was more than glad when we had reached it at about 0230h in the morning. 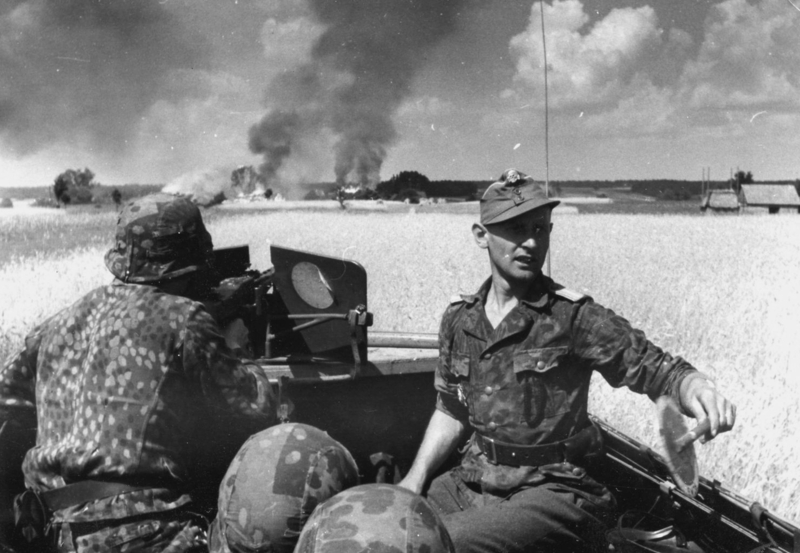 Deep Masurian Pine forest, sand, sand and more sand, tiny roads and crossings every five minutes, which all looked exactly the same and half of them not being on any map, stuck vehicles and finally a disoriented artillery unit blocking our way with their wagons and guns. At 0300 in the morning I finally got in touch with an adjutant of the reconnaissance, who told as that X-Time was supposed to be at 0430h. That gave us about 90 minutes to lay down on the forest floor to catch some sleep. 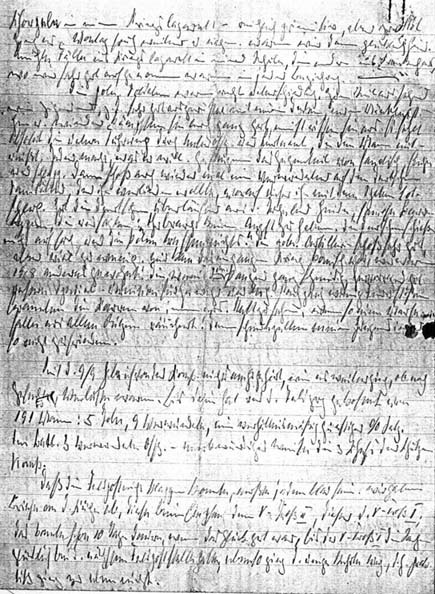 At 0330h I was woken an armed guard telling me that “Herr Oberstleutnant is coming”. And really, our Scheidies was back, carrying with him the message that all orders had been cancelled. Batallion was to move back and to await further orders. We had been told that the Poles were about to attack Gdansk and we were supposed to counter that by attacking him in return. Alas, the Poles did not do us that favor and, at least for the day, war was cancelled. 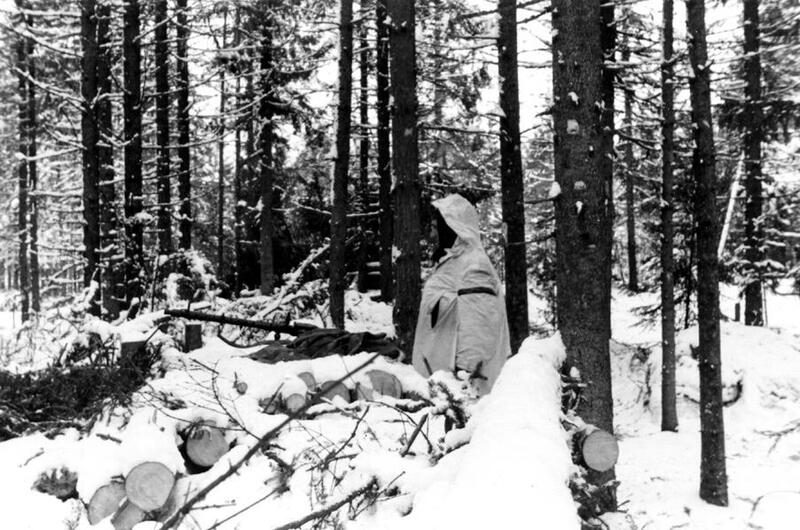 We moved out again, made camp and spent the following days in a forest near Roggen, frying eggs on our entrenching tools, cleaning guns and waiting for what was to come. On the 31st of August I was called back to the regiment. It was the same old song all over again. 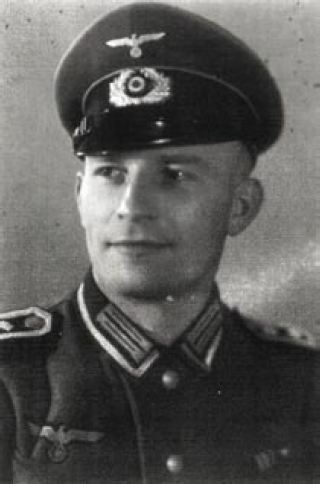 Scheidies (commander of 1st Btn.) was on leave and I had to take over. 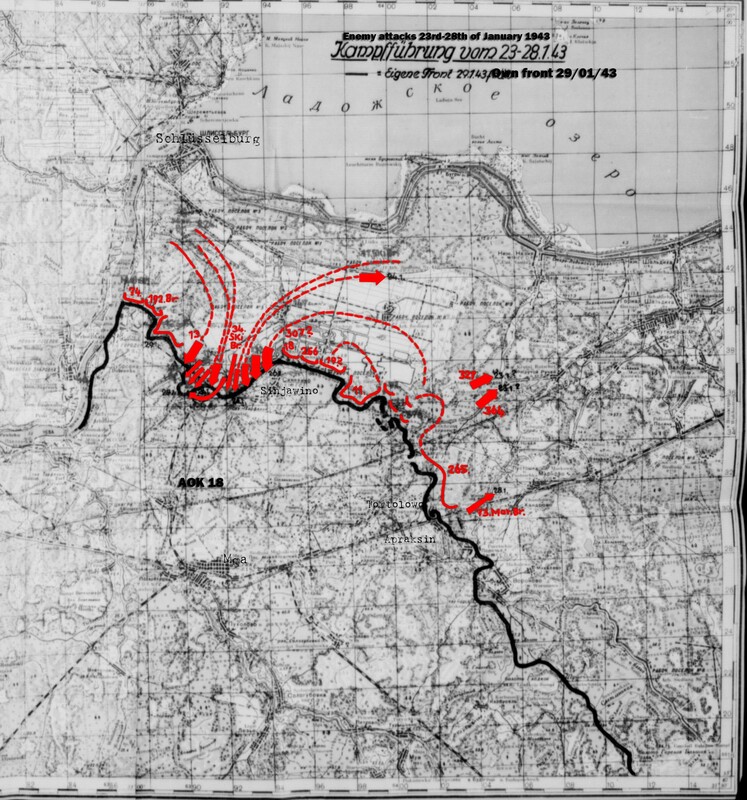 During the night we got the order to move into our attacking positions. The whole thing reminded me of the fable “The boy who cried wolf”, but an order is an order and we obeyed. On the 1st of September (at three in the morning) we arrived, quite unenthusiastically, at the same spot where we had spent the nights of the 26th and 27th of August. The only difference being that now it rained cats and dogs. Shortly afterwards we received the order “X-Time 0445h”. As usual, nobody really believed that, but to everyone’s surprise, at precisely 0445h, our artillery fired a few salvos; loudly announcing the start of the war! I have to mention that this was no proper artillery fire, the first salvos were only fired to find the correct range. Still there was one interlude that needs to mentioned. 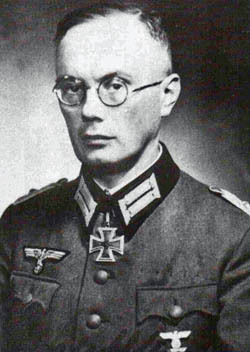 Major Domizlaff, commander of I./IR22. 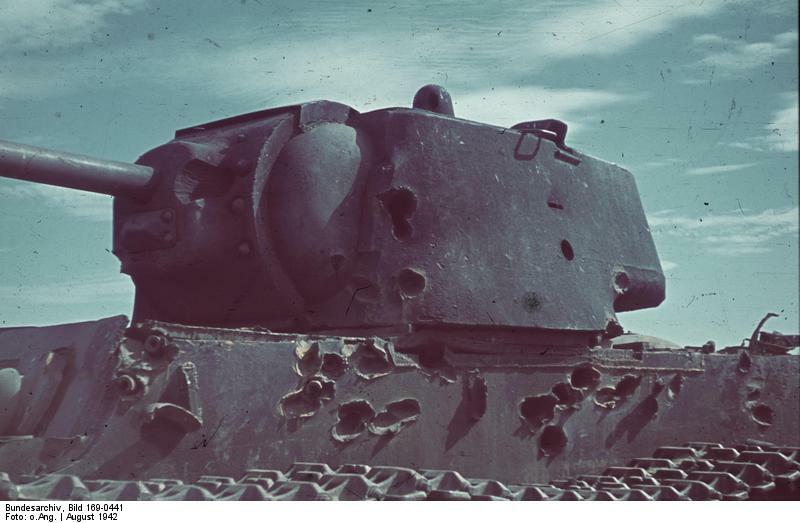 also known as “Borante”, who was massively disliked by old and young, had overzealous as usual, already crawled over the border and had only just been missed by one of our shells. He took a splinter into his arse! Harmless but painful. This story spread like wildfire throughout the division which was soon roaring with laughter. 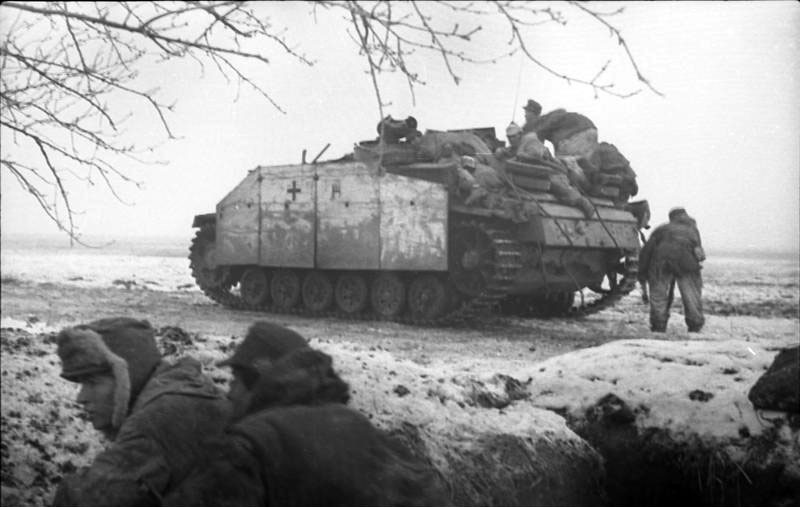 We crossed the Orschütz at a ford, leaving some our supply vehicles behind as the ground was much to swampy for them to cross (they rejoined our column some days later, after getting two more horses per wagon). Not one shot was fired from the polish side. We had not expected that, after all we had been told about strong enemy forces in the area. All we saw were quite a number of small, dirty villages and some old people, who took of their hats when we passed, looking even more afraid than we did. It started with sand and more sand. Also thick dust, sometimes red, sometimes grey. We could only see an actual road when inside a forest. Where there were no trees, there was the road. This changed when marching on open ground. You could only guess where to go. If we were lucky we could see the marks left by some farmers manure wagon, that was about it. What was marked a proper road on our maps wouldn’t have passed as a beaten track at home. No stones, no trees, no ditches, just dismally drab surroundings. It was terrible and most exhausting for the men. Later in the evening we had reached a prominent ridge. The enemy must be there! But again, disappointment. An excellent defensive position and nobody was using it! 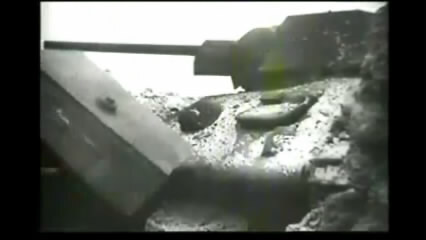 18 kilometers futher on, the sounds of battle! Our cavalry scouts had clashed with enemy pickets. The regiment went into the attack. 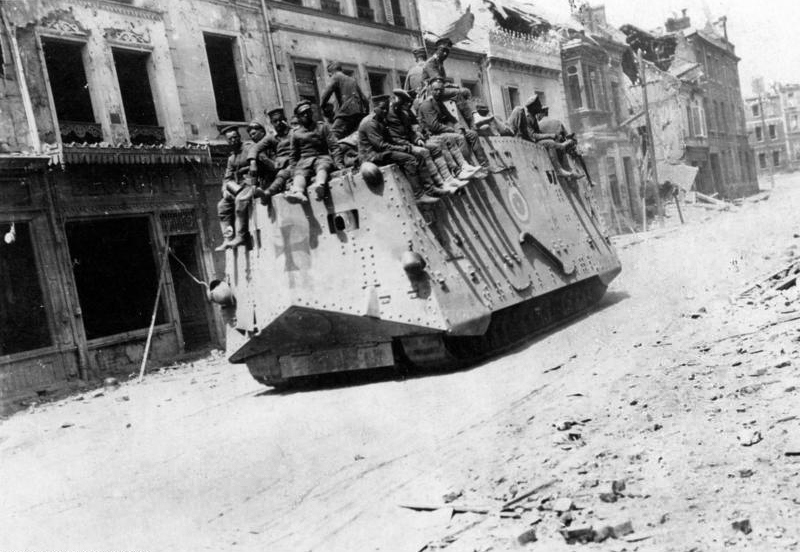 I. Batallion at the front, II. Batallion on the left, III. Batallion on the right flank. The first moves went smooth as if on the exercise ground. Then III. Batallion was ordered to halt and I got called to the regiment again. 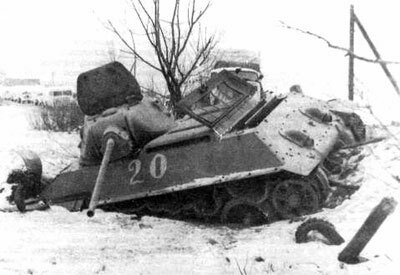 I rode over as fast as I could and was told that I. Batallion had met the enemy at the village of Skorupki. It was now being flanked by enemy forces on Hill 188, effectivly pinning the batallion to ground. We were ordered to attack Hill 188 from the north, supported by a section of light infantry guns of 13th coy. An artillery observer was going to contact me soon. A nice and clear order. Going north we now saw the first dead poles lying on the roadsides. 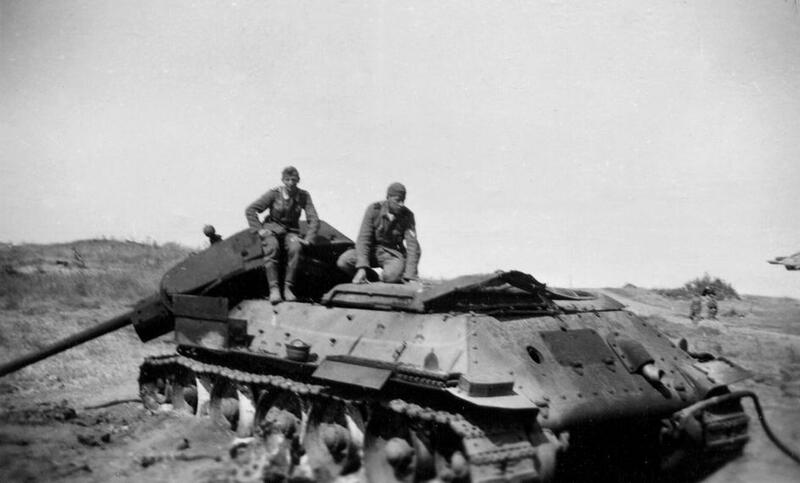 The artilleryman had contacted me as promised, I had told him of my plan and he had promised fire support. 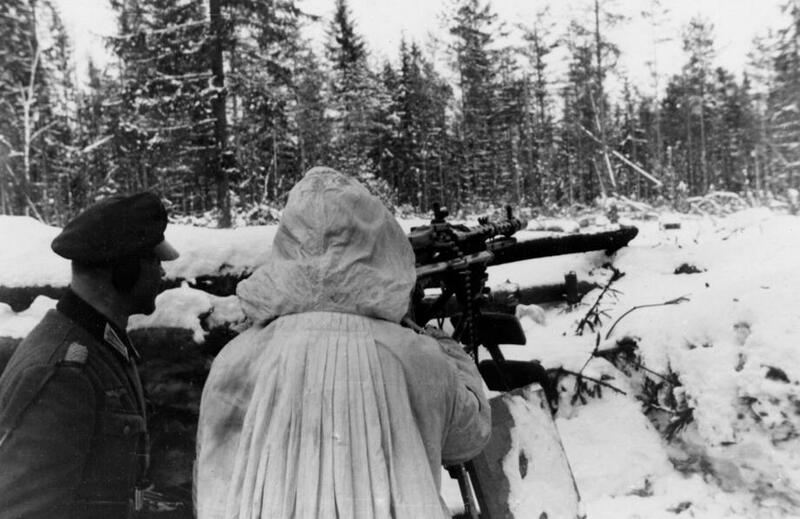 In the meantime we had spotted three enemy machine guns on the hill. After a march of about 20 minutes we were in the position to assault the hill, just in time to see its defenders fleeing as if in panic. Again no sign of resistance. The enemy just left his most formidable position without even trying to defend. Still we were quite happy when we had reached the peak of the hill. Although we were not feeling quite as victorious as we would have liked. 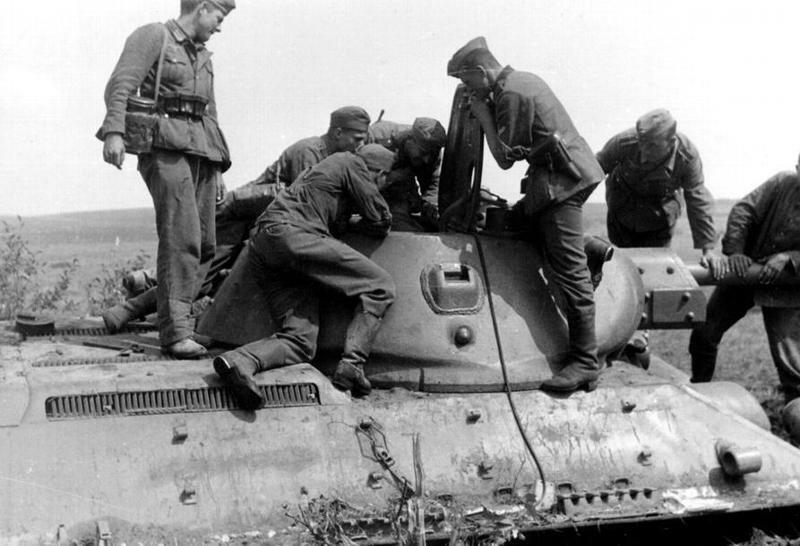 From up there we could see I. Batallion leaving Skorupki and in front of it, prominent on his white charger, our Scheidies. Because of Borantes wounded arse, he had been sent back to take charge of III. Batallion. I was delighted, as this meant I could go back to lead the lads of 11th company. “Without rest we continued our march. Taking a southwesterly direction we crossed valleys and ridges, keeping up a fast pace and always in open order. We must not give the poles a minute of rest. As we had no vehicles we had to carry our heavy weapons aswell. A most exhausting business, even for the best trained men. The sun set and we dug in. Guards and pickets were set up. It was cold, our coats were still on our baggage train. We were hungry aswell and our field kitchen was nowhere close. At this moment food and coats were about 18 hours behind us. There was no hay to cover ourselves with, so we laid down on open field in shallow pits and ditches. I was lucky to be lying on a flax field as I could use the plants to make myself a small pillow and a partial blanket. The other part of my blanket was provided by the Zeltbahn (tent square) of one of my NCOs (Unteroffizier Zibulski), which we shared like brothers even it was a little small for two grown men. 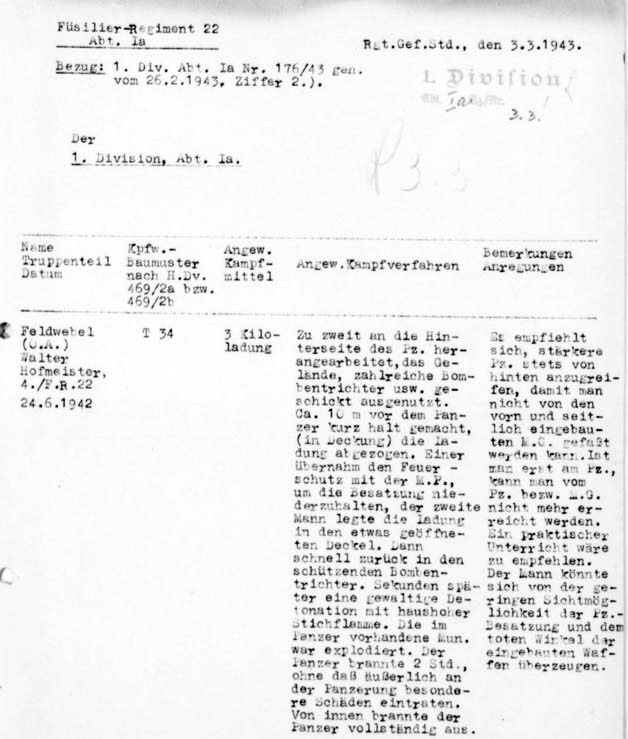 I still slept like a log, up until at half past three in the morning I was woken by Leutnant Götz, once member of my company, now second adjutant to the CO of I. Batallion. 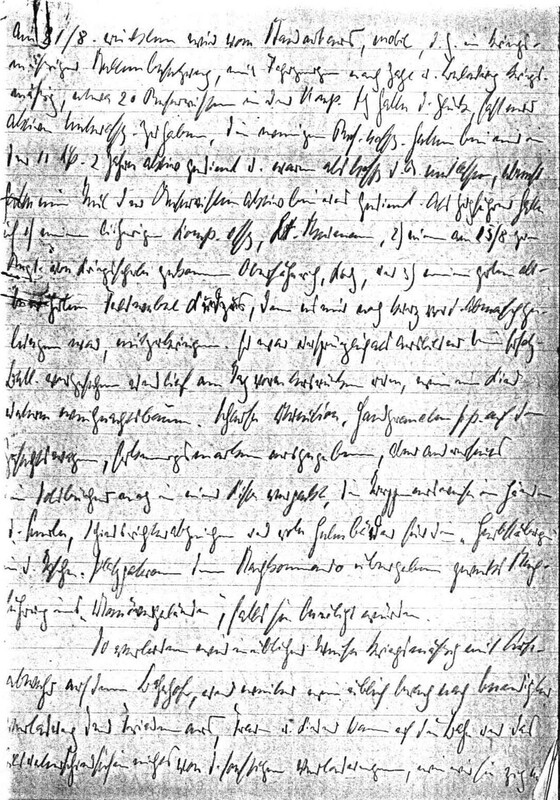 “Herr Hauptmann, you are ordered back to the regiment to take over command of I. Batallion”. Even the classic Goethe quote* (see below) would not help me, so I got up and stumbled up to the regimental command post, joining I. Batallion shortly afterwards. 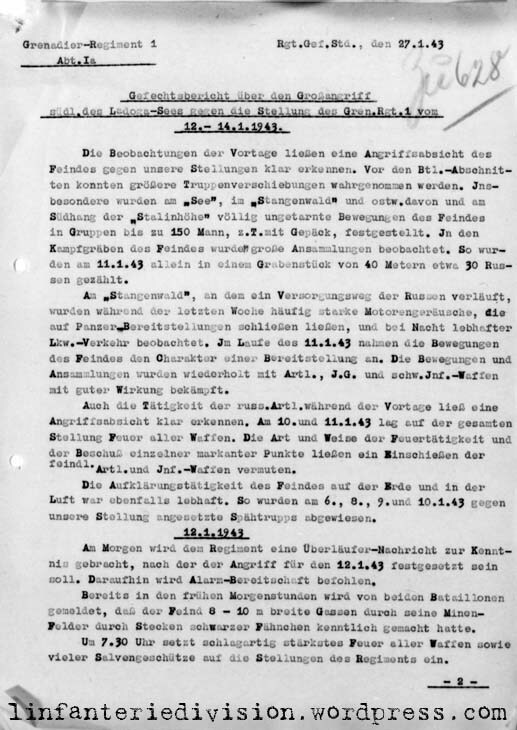 We had been ordered to act as divisional reserve! I was swearing my head off, but to no avail. Notwithstanding that I also got hit by a fit of diarrhoea. Our Doctor called it a gastric flu, but I call it the worst kind of diarrhoea I have ever experienced! I also had a temperature. I guzzled down a dose of opium, quinine and tanalbin every 15 minutes, but dragged through the whole thing as well as I could. Not that we had much to do. 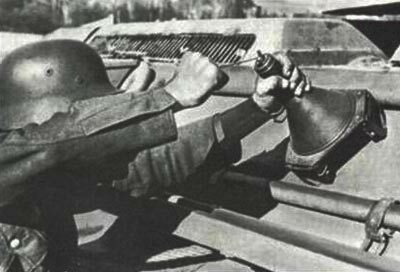 Changing positions into a different wood every 2 or 3 hours, three kilometers away from the frontline. The boring fate of the reserves. Now and then we could hear the sounds of battle and later we could see a steep ridge, on which trenches and bunkers could be spotted. 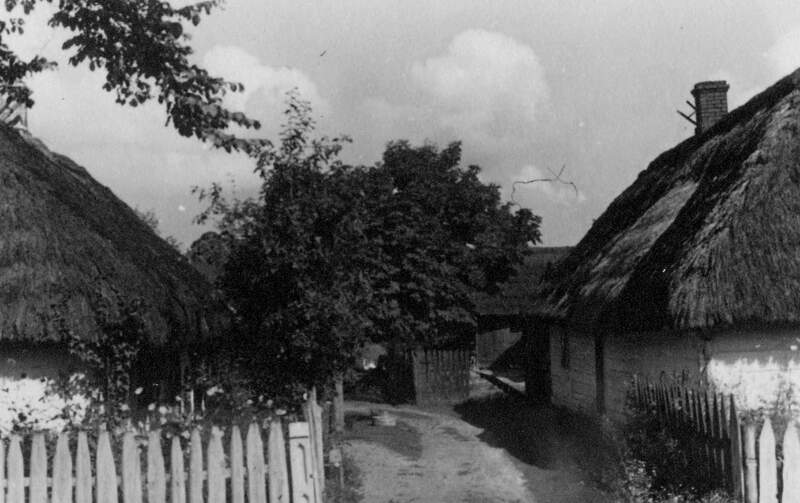 The Kamienka ridge, which was defended by the Poles until the boys of II., but mainly III. Batallion cleared them out with hand-grenades. My company had been in battle for the first time and put up a good show, loosing four dead and five wounded (including 3 NCOs). The next day was a good day, as I was finally given the chance to fight. The regiment was attacking, but its left flank was open and unguarded. To cover it I got command of small detachment consisting of 1st coy., one squad of 4th (MG) coy., two light infantry guns of 13th coy. and two AT guns of 14th coy. With this respectable force I defended the regiments flank against an attack that sadly never happened. 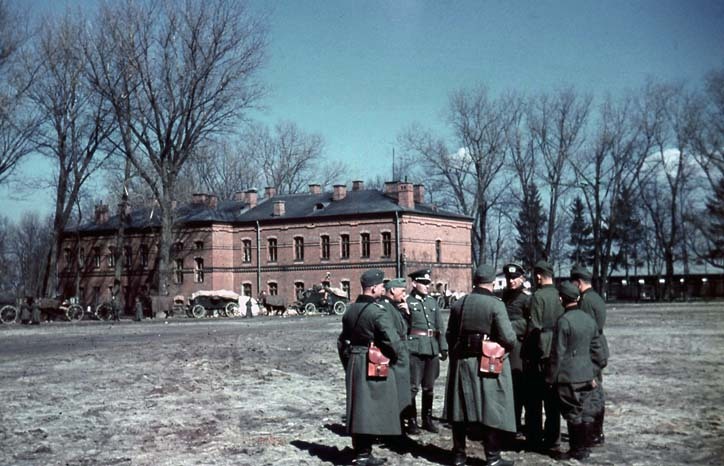 When shortly afterwards IR43 took over, I took over commanding the reserves again, following the regiment south-east, which at least gave me chance to have a closer look on the fortifications of the Gora-Kamiensk. We only had short rest of about an hour, before continuing our march through the night. This was disturbed by some sporadic and unaimed polish artillery fire, which was quite disturbing for some of the younger soldiers. I had seen far worse on the battlefields of the last war and knew we were not in any danger. I did not even dismount, as it was a lot easier to control the horse from the saddle. 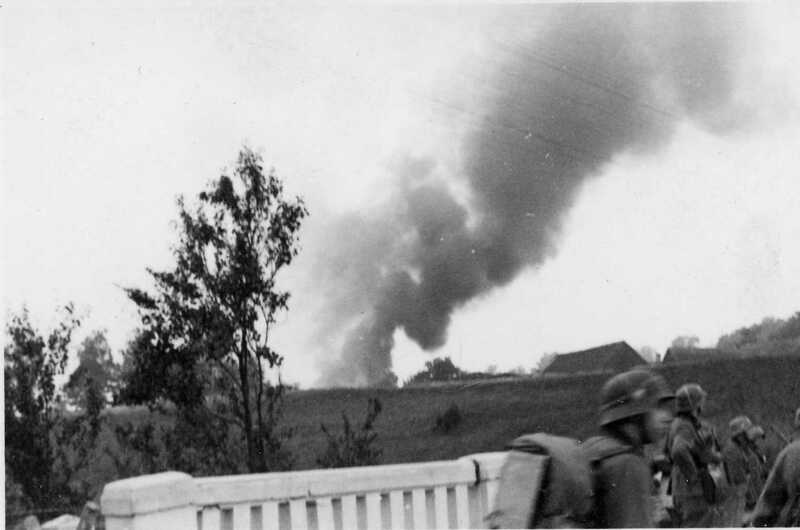 When we passed a few burning villages the artillery fire stopped as suddenly as it started. 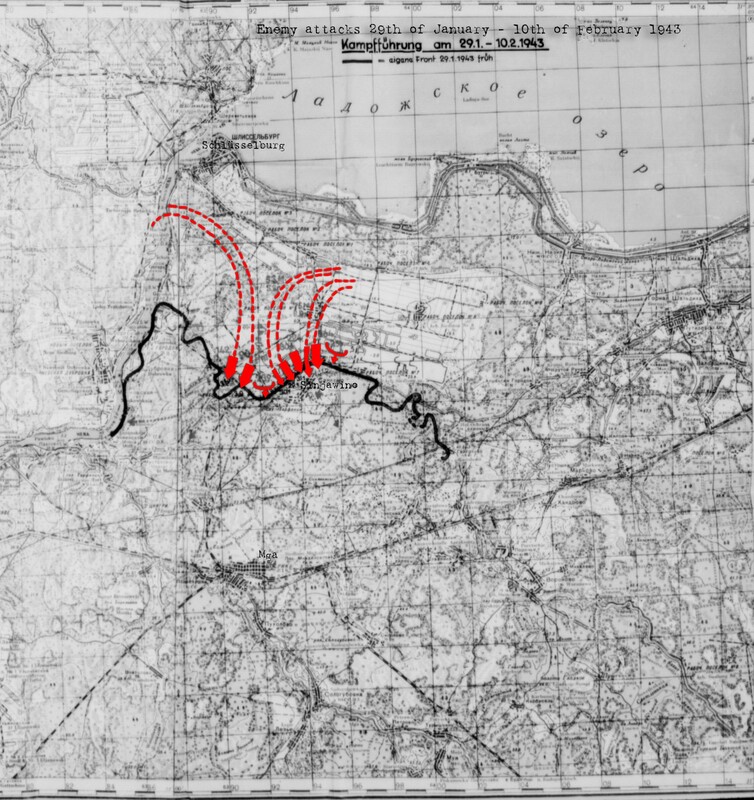 The next morning we could see huge columns of enemy soldiers streaming south from the area of Mlawa. They were out of reach of our guns and obviously we had failed to pocket them in. 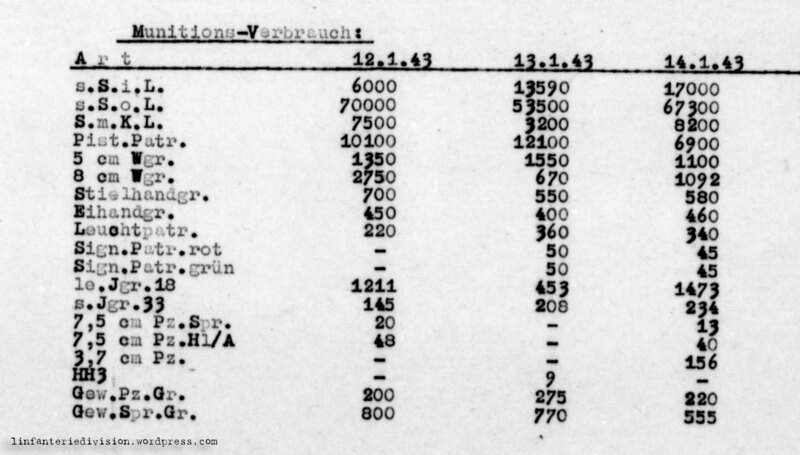 We later heard that this was done on purpose, as the fleeing masses were enlarging the confusion in and around Warsaw. There was only one thing for us to do. Marching until the feet were bleeding and the lungs burst. Fast pace and open order. 15 kilometers, shouldering heavy machine guns and mortars and carrying twice the normal supply of cartridges and hand grenades. In the meantime our kitchen had caught up with us and I made a promise to myself not to let it go again. Then suddenly a road, at least it used to be one 100 years ago, and open ground in front of us. A one hour break to eat and rest. Another stretch of marching till midnight. Another rest, this time in a small hamlet. The men resting in a tiny barn, stacked like herrings in a tin. We had been marching for four days now. Only short breaks, no one had the time to wash. The stench in the barn was quite unpleasant, but at least it was warm. 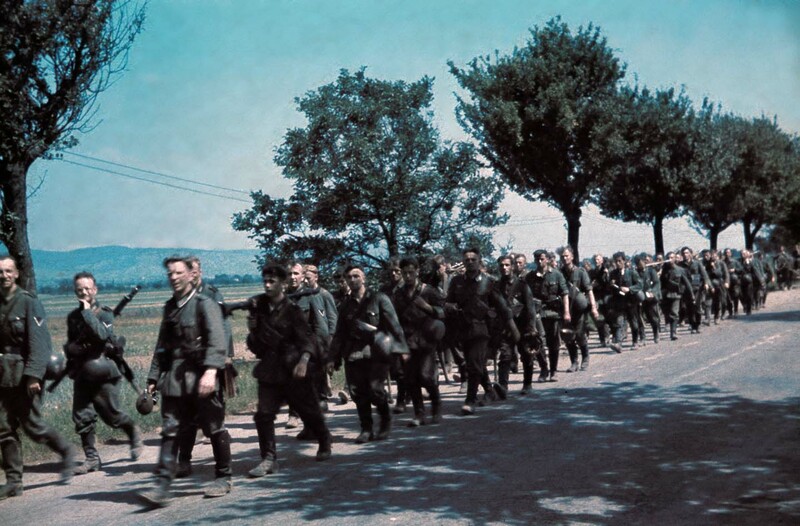 8./IR43 on the march, 1939. At 0200 suddenly alarm! Only two hours of sleep. Everyone was cursing, but to no avail. Off we went again. The usual crappy roads and never-ending 25 kilometer stretch of marching. It was hot and we were sweating like the pigs. There was no water. The few wells we found were constructed for one goat and a couple of Poles. Not even enough for washing, although the Poles did not seem to take body hygiene to serious anyway. For some reason the bandit managing our kitchen always had hot tea and coffee ready for us and we still got food supplies from the divisional baggage train. As I did not want to send our heavy kitchen wagon to fetch supplies we “organized” a small cart drawn by two nimble panje horses. Every day we had another use for that. We lived on the move and off the land. One day it was loaded with an old fusilier plucking dozens of chicken. The next time we were slaughtering a couple of piglets and a lamb on it. One day it was loaded with three Polish civilians peeling potatoes. Every day we took a different collection of Poles to do these jobs. We had run out of bread days ago, but with the supplies found on the way I was able to supply the men with two warm meals a day. Later we came up to a proper farm estate. A good place to rest. This was the first proper Polish farm we had seen so far. Clean and large stables. They seemed to have bred pigs there. Lots of sows and piglets around. Not a soul to be seen. All light bulbs had been removed, the water supply had been cut. Again no chance to wash and shave. Most of us looked like a poor version of St. Peter and smelt like the other inhabitants of the farm. The pigs were well fed and even if the horses had been removed there must have been people around. Whoever they were, they managed to stay out of sight. At dusk another break inside the usual tiny hamlets. Two hours of rest. 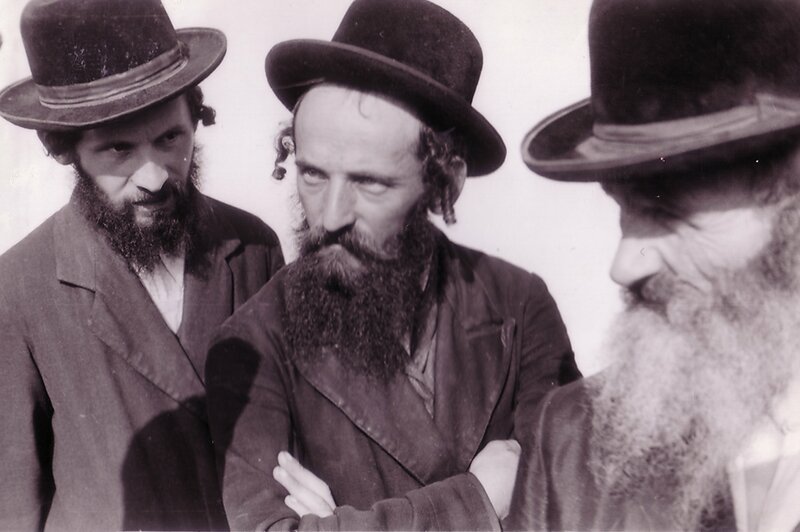 The next morning after only three kilometers we reach a small jewish village called Makow. We get a surprising rest as there is a big traffic jam. 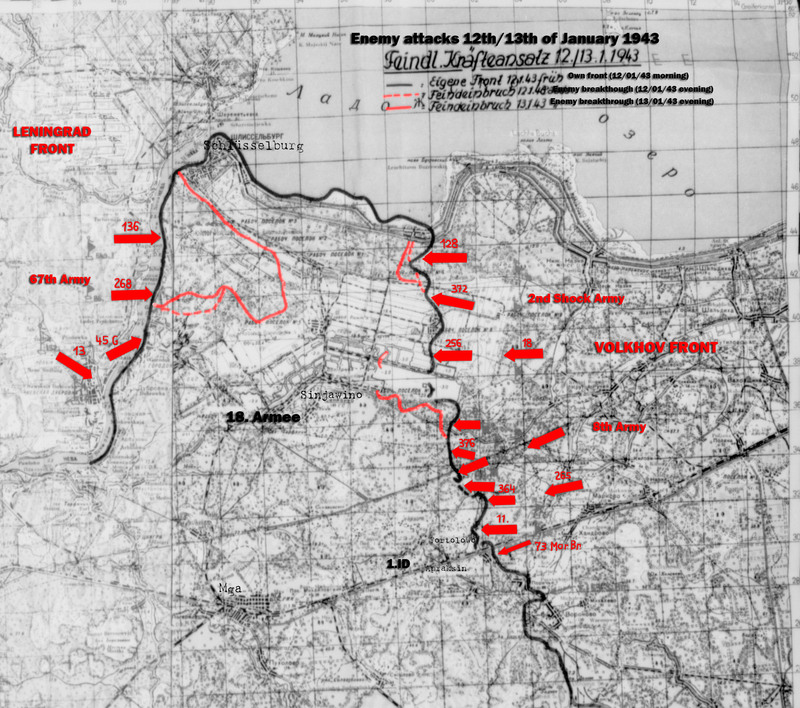 Large parts of our division, including the reconnaissance unit needed to cross our old relation, the river Orschütz, again. This time by using a small makeshift bridge, everything was in chaos. The city full of jews. The houses were so dirty that I would not have entered them even under threat of death. 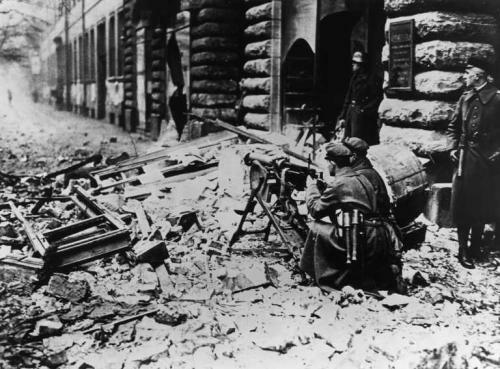 Most of the shops had been devastated by polish soldiers. Sweets and chocolates had been trampled on the ground. A german soldier would never do things like that. A german soldier would eat as much as he could and take the rest to eat it later. Again no chance to wash. It was the 6th of September and the day ended like it had started. A small march of 20 kilometers, then a long rest in a forest. The roads had become even worse and again there was no lake or a drop of water to wash with, but at least we finally got a long rest. No enemy in sight and still heading south-east…. “The night was pitch black. Sandy ground everywhere, making marching a pain. A chausee was supposed to be somewhere in front of us. We passed a stuck supply column loaded with ammunition. One of our horses died of pure exhaustion this night. It was the most terrible march of the whole campaign. Finally we reached the chaussee. Well, it probably had been a chaussee once, in the time of William the Conqueror. But at least we were marching on a road again. A while later a car came up, which took me, Scheidies and the officer in charge of the machine gun company up to the regiment. We were closing on the river Narew, about 2 kilometers south of the old russian fortress of Rozan and were to look for favourable spots to cross. Pioneers had brought in lots of rubber dingies and when the sun began to rise the battalion crossed the river. The bridges near Rozan had been blown, so we couldn’t take our vehicles with us. Again our payload began to rise. 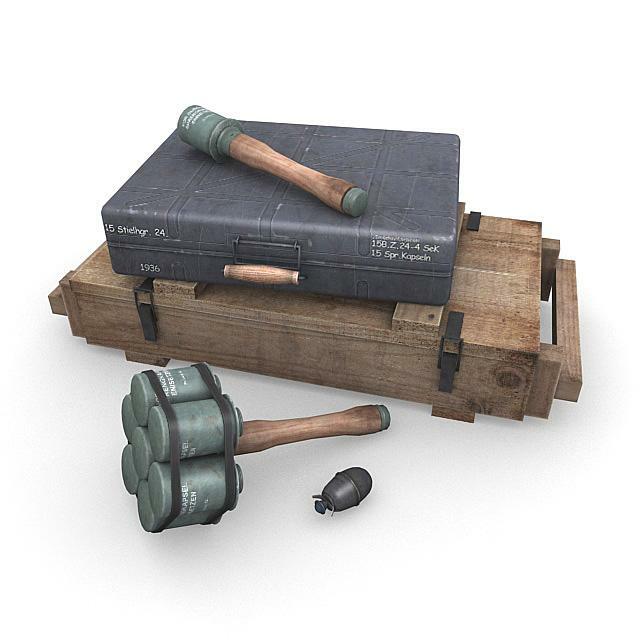 More ammunition, more hand-grenades and heavy weapons. On the other side discarded rifles, ammunition and helmets, but again no sign of enemy resistance, no sign that we were actually fighting a war. We marched through a forest, companies spread out in open order but with reduced spacing as it was easy to loose one another in the dense trees. Through the forest, up a hill and down again. Loaded like mules with ammunition and equipment, steel helmets on and all under the burning sun. Always heading south-east and no end in sight. In the evening we made camp and dug into a what we call a “hedgehog” position. We had taken some dumb polish soldiers prisoner, who had put on civilian clothing, but had forgotten to remove their dog tags. 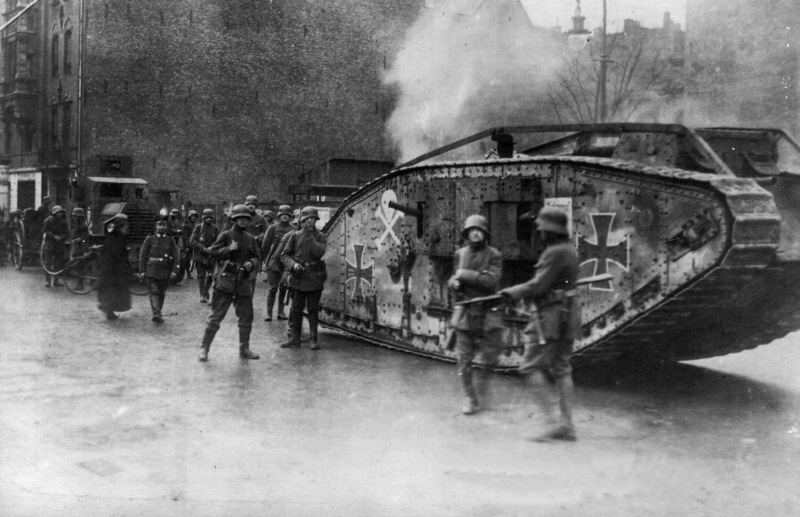 They had been told that it would take three or four days until the first german soldiers showed up. Quite a surprise for them. We did not win the war in Poland by feats of arms. 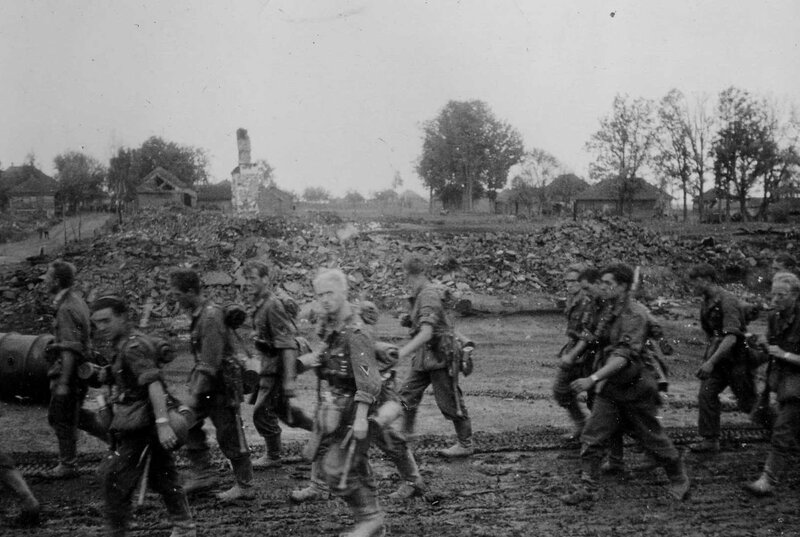 We won because of the iron will and stubbornness of our infantry and their intensive peacetime training, which had enabled them to continue marching night and day with only minimal rest. I was very pleased with my men, and I told them that I was. In these early days of September 1939, everything we had trained for since April 1935 had paid out. 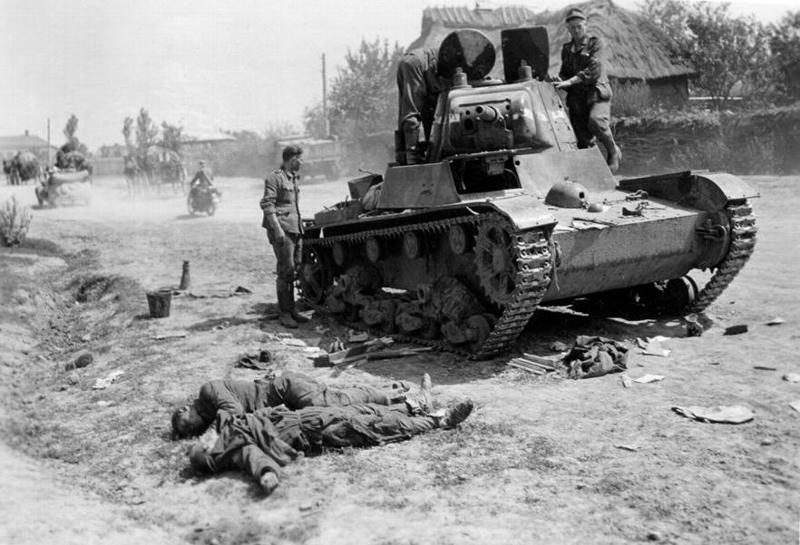 It was not the 15 minutes of combat during the attack on the Gora Kamiensk that was hardest for the officers and men. For an officer it is most rewarding that he managed to motivate his worn out and footsore soldiers again and again. Minimal rest, one march after the other, through night and sun, through dust and dirt, each march at least 8 hours long, without loosing a single man. The NCOs did a wonderful job, keeping their lads in a pristine condition, motivating them by setting an example themselves. The best soldiers in the World. The night was terribly cold, again I shared a Zeltbahn with Zibulski. In the morning the kitchen caught up with us. 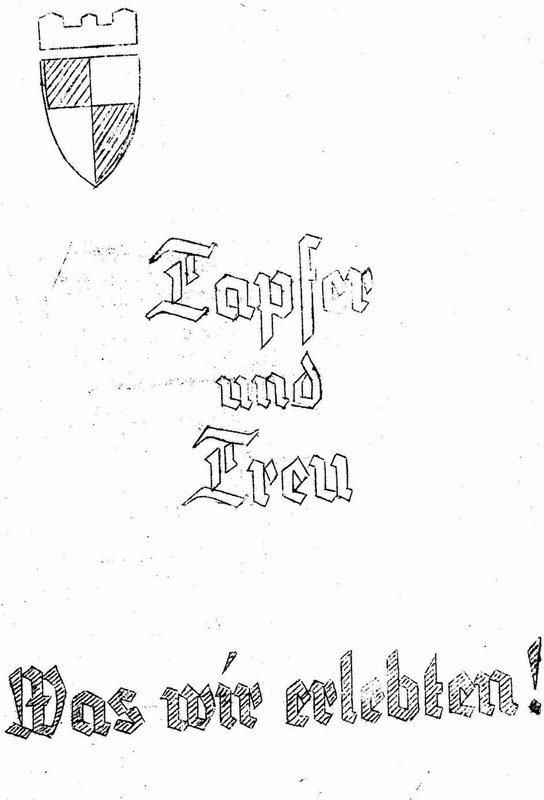 The Hauptfeldwebel supplied us with cigarettes, cigars, tobacco and sweets that he had “conquered” somewhere. With a big grin he covered me with a warm blanket, supplied me with a steaming pot of coffee, stuck a cigar between my teeth and said “get another 2 hours of sleep, we are to march out at 0500h“. Each single one of these gallant deeds was fantastic and couldn’t be weighed up in gold. For the first time in days I managed to get some proper rest. I smoked half the cigar and finished the rest later on horseback. 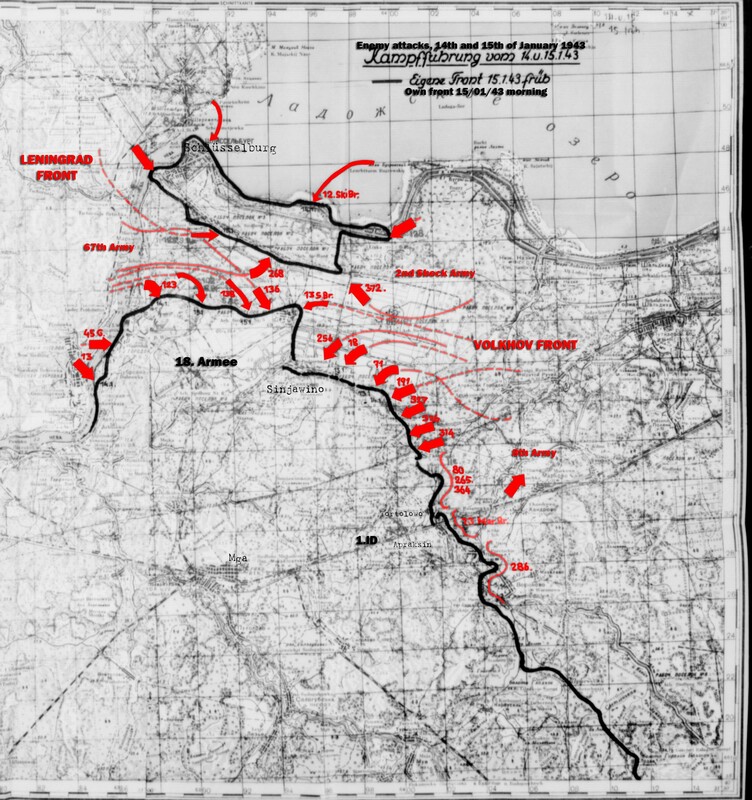 On the 8th of September we were told that our division and one cavalry brigade was to be part of the easternmost half of pincer movement designed to encircle Warsaw. The day continued like the others. Endless marches through sand and dirt. Near a small stream we managed to wash and to shave. Fusilier Rohde, who had been a barber in Essen in his civilian life, professionally removed my beard. A pity, somehow I had become attached to it. When I reported “Company washed and shaved, ready to march out” to Scheidies, he couldn’t keep himself from grinning. After this rest we continued marching, this time heading south. It seemed that the pincer was now being closed. 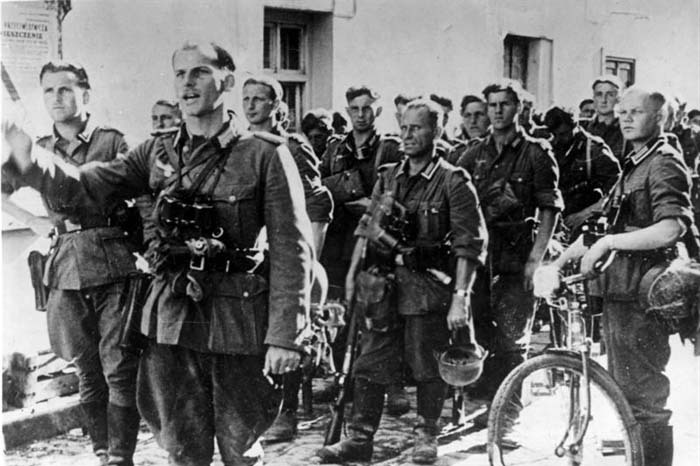 In the evening we got the message that the first german soldiers had entered Warsaw. I could not believe it, as this would have meant that we had missed all the fun. I was quite happy when it turned out to be a false report. On the next morning myself, the regiments commander, the battalion commander and his adjutant, set out in a car to reconnoiter. Actually a foolish thing to do. We carried our pistols and the driver had a carbine, but that was not a lot of firepower to defend ourselves with. 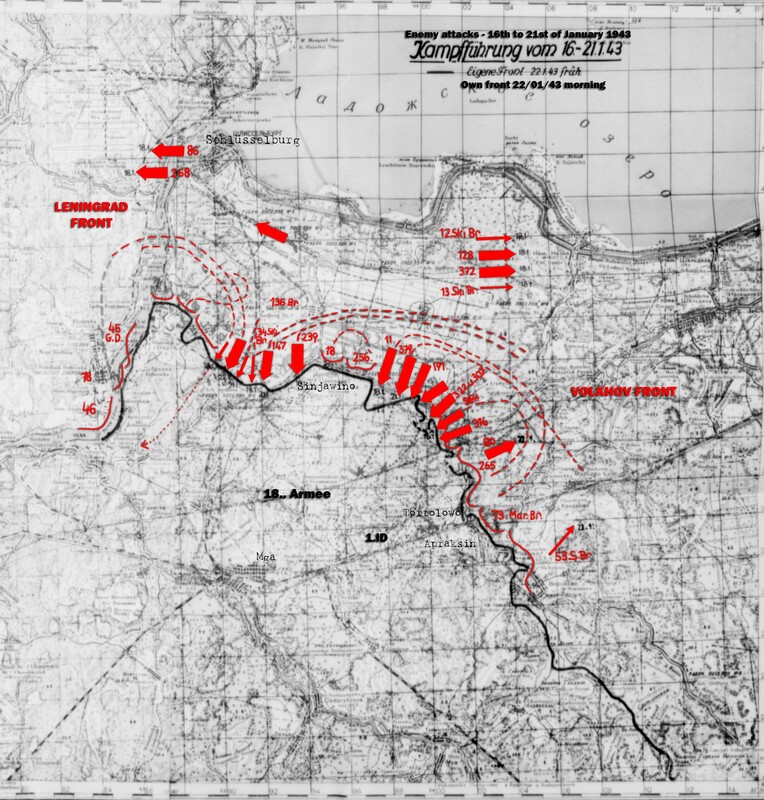 “When the largest part of our regiment had crossed the river we finally went into combat. If enemy numbers were small, I was to attack and destroy the opposition. If enemy resistance was strong we were ordered to retreat to defend our bridgehead. I did not see a single polish soldier. For me that meant that enemy forces were probably not strong. That meant we were going to attack. 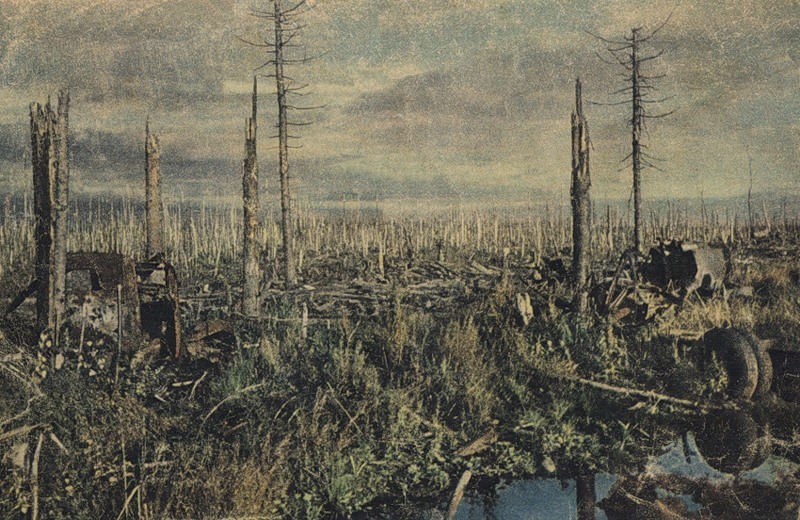 In front of us a stretch of forest with swampy ground, crossed by ditches and a wide canal. Right in the middle a good road leading south to a small bridge crossing the canal. So far, so good. We moved up the road at fast pace, each squad crossing the bride after the other. When we had crossed that we folded out again. One squad to the right, one squad to the left of the road, third squad at the rear. 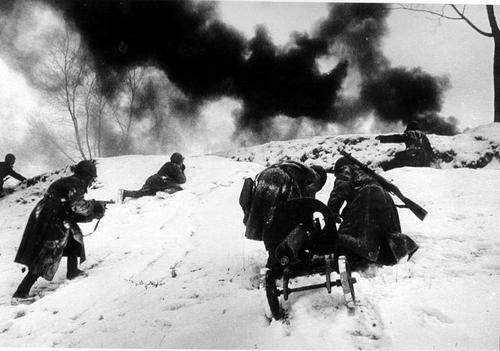 Heavy machine guns and mortars are shooting suppressive fire and move up slowly behind us. 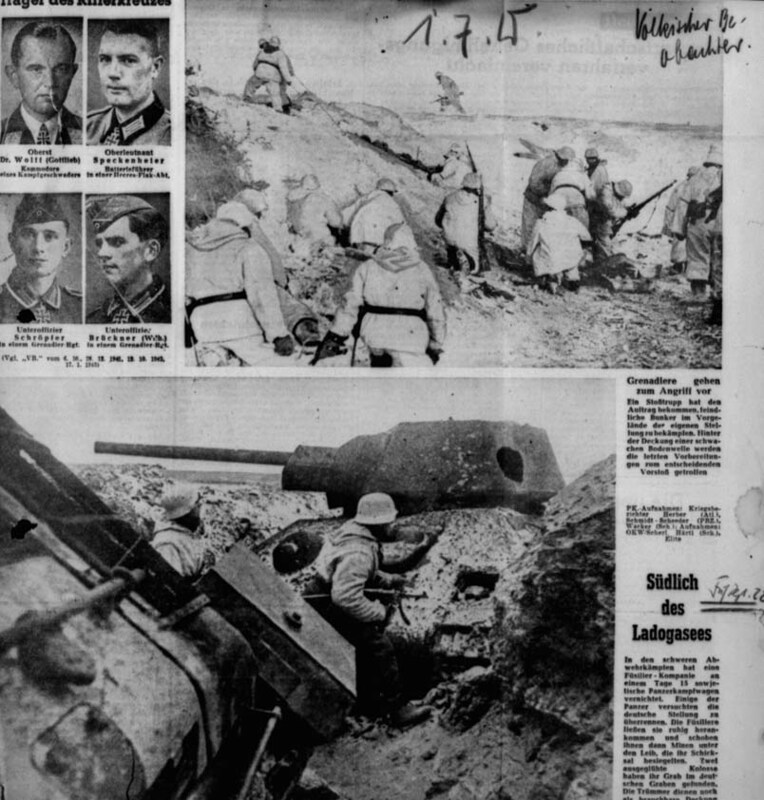 By then we had been targeted by polish artillery. Open collars, remove neckties! Go! Go! Go!”. Be aggressive, just don’t slacken the pace. 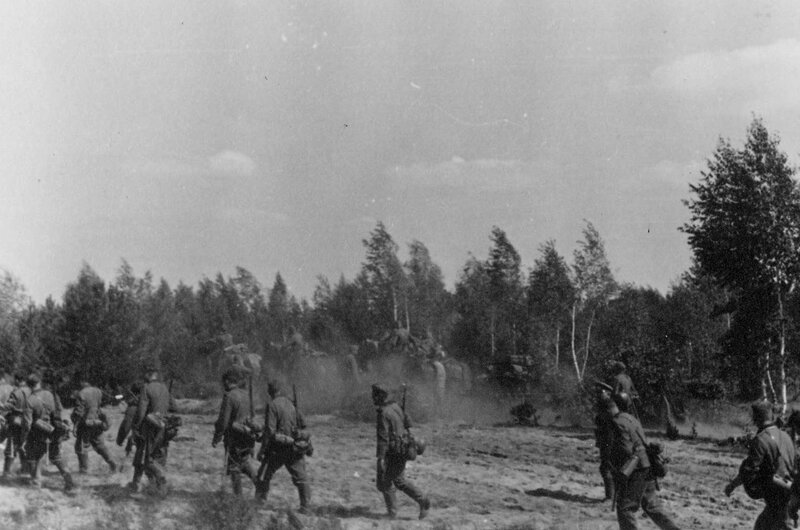 The men moved forward by squads, the others providing cover. How often had we trained just that on the exercise ground near the Pissa-Bridge. Only now I was not sitting comfortably on the parapet, criticising the men. I was trotting with them, passing out orders to move with my whistle. I was first over the bridge. 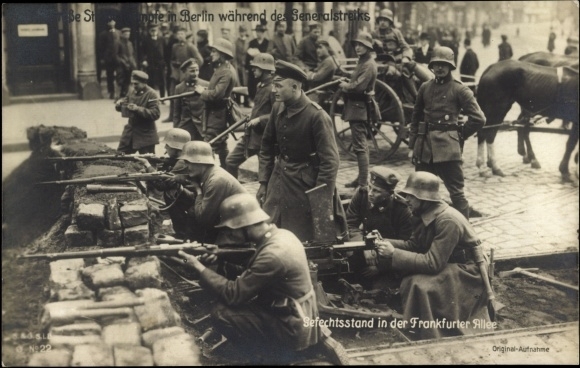 German soldiers on the other side. Members of the bicycle company which was part of the cavalry brigade. “How good to see you guys, good have some infantry support over here!” To hear such words from a cavalryman was praise indeed. The cyclists had been pinned down by enemy fire. 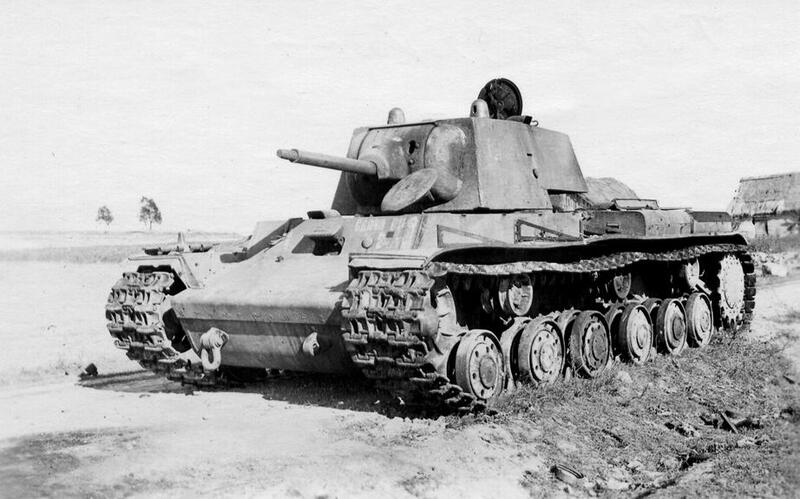 They also lacked heavy weapons. As I had what they were lacking, we agreed to attack together. My men leading the assault, the bicycle lads covering our flanks. The ground covered with elder trees and more ditches. The Poles put up a skilful defence, using the ground to their advantage. We could not bring the firepower of the heavy machine guns to bear. It had to be a classic infantry attack, the soldiers using their speed and dexterity, their rifles, bayonets and hand grenades. 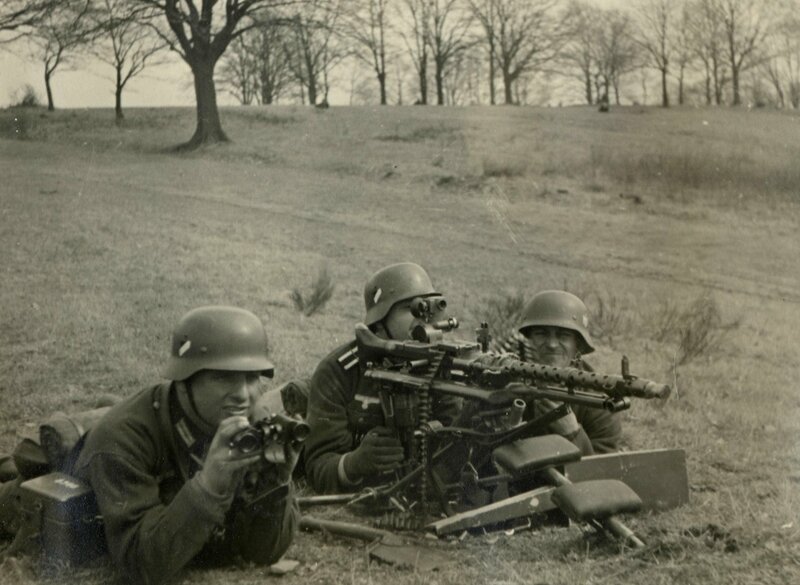 Now and then one of our light machine guns had a clear field of fire. We get carried forward by the elation of having a fighting enemy in front of us for the first time in eight days! Soon the forest had been cleared. We continued our fighting advance. 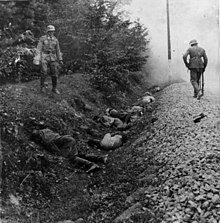 In front of me Zibulski jumped a ditch and got shot by polish soldier hiding in an underpass which crossed the road diagonally some way further up. 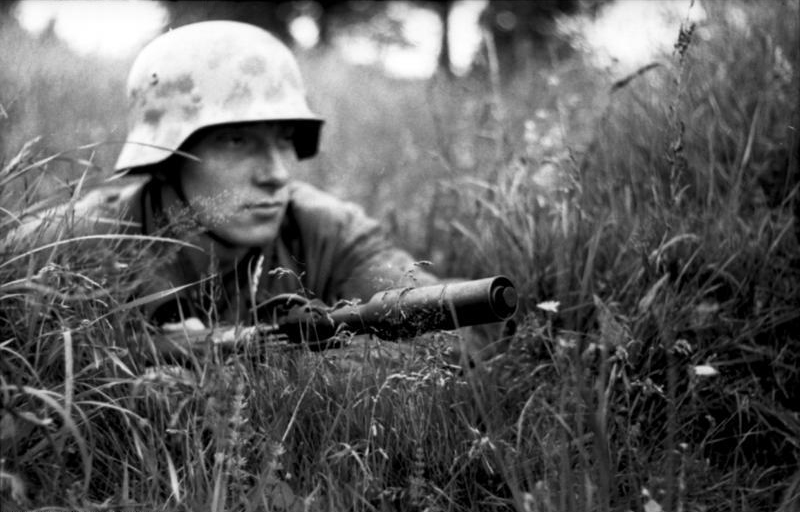 The soldier was in an excellent position and was defending like a lion, alone as all of his comrades had run away. 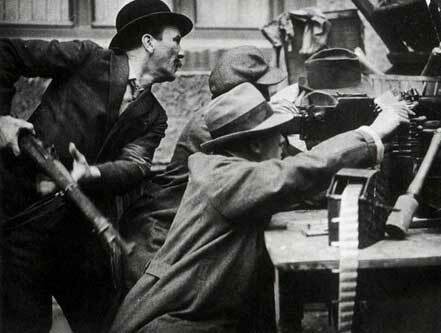 Had there been three men and a machine gun, Neumanns squad would have ceased to exist. With rifle or pistol we could not get him, someone would have had to enter the ditch and the soldier was keeping that under constant, precise fire. We had to attack from the other side of the road with hand-grenades. When I crossed the road I got shot into the neck by a machine gun that was covering from the direction of Sadowne. It was only luck, that in the heat of battle, I had opened my collar and removed my necktie. Otherwise the bullet would have carried half a pound of dirty linen into the wound. I fell to the ground, could not walk, my lungs began to hurt and I could only whisper. I was just able to see some lads finishing off the polish soldier in the underpass. My friend Zibulski, who had shared his blanket with me every night, had been shot in the thigh. The bullet had injured the main artery. He died on the same day after he had been carried to the main dressing station. A field medic took care of us and got wounded himself, going down right beside me. We stayed under constant fire until the company finally managed to enter Sadowne. 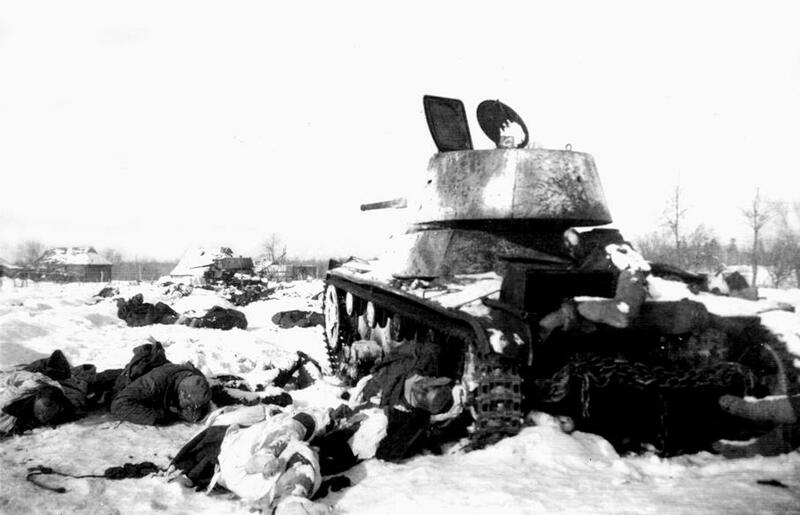 11th coy had five men wounded, one dead. 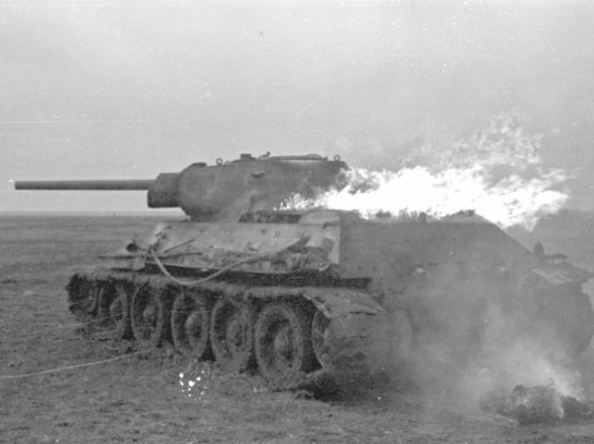 Polish fire was badly aimed and frantic. 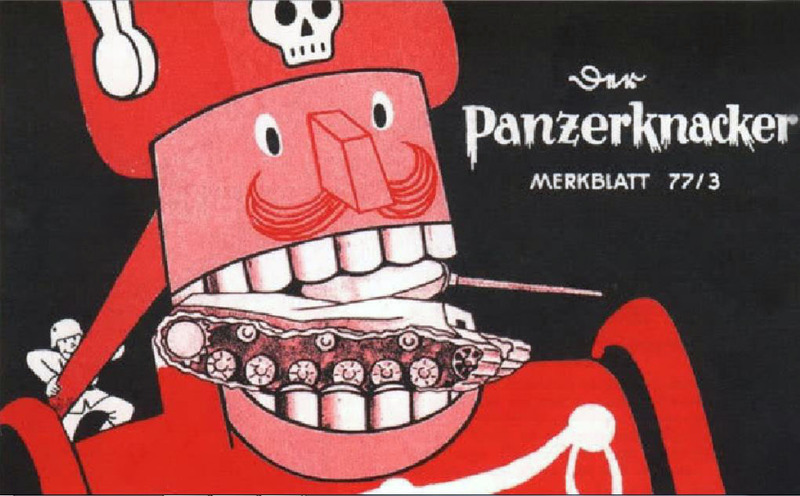 The Polish soldiers were very different. Some fought like lions, with skill and full of courage. Others ran like sheep when the first shot was fired. With german officers they would have made excellent troops.